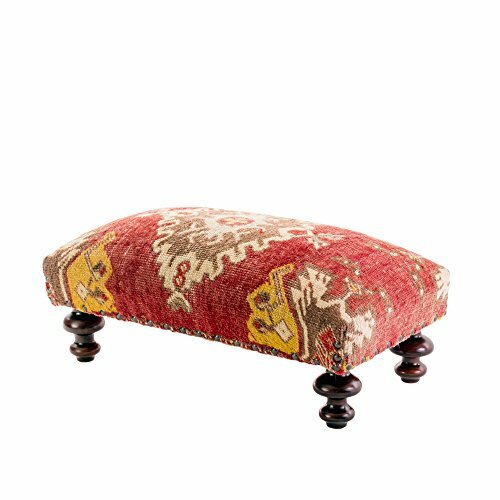 Hand-made foot stool. 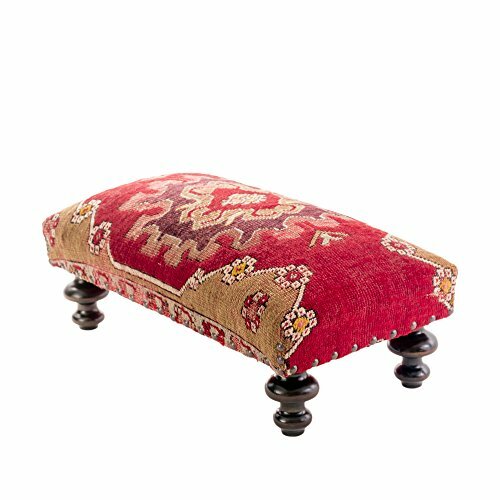 Ottoman covered by high quality hand woven vintage Turkish kilim rug. All handmade and unique; made in our studio. Wood: Lime three. Cover : 70 years old vintage rug 100% wool. Finishing by shellack (applied French policing technique) Size: L : 15.8''/ 40 cm , W: 12 '' /30 cm height: 8 ''/20 cm. Do not hesitate to contact us If you want something customized, please let us know! We will be glad to help you to create your ideas! 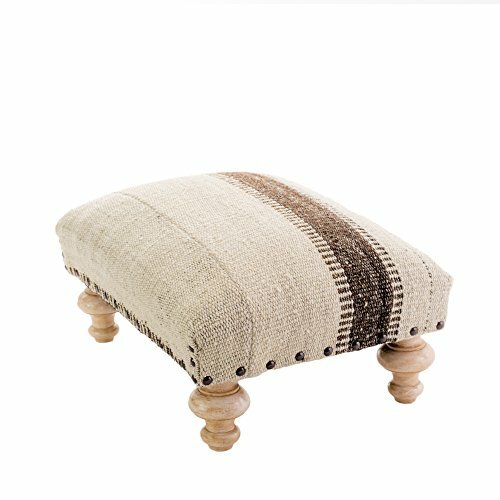 Hand-made foot stool. 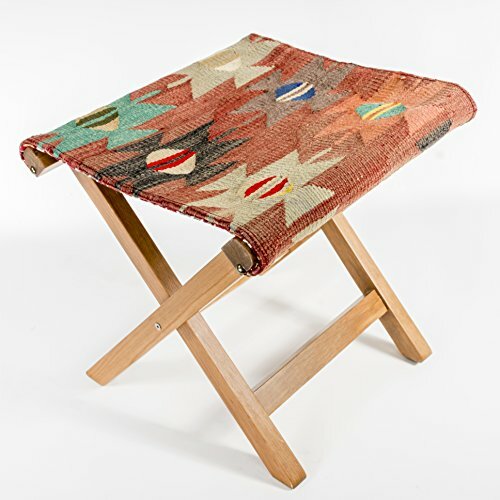 Ottoman covered by high quality hand woven vintage Turkish kilim rug. All handmade and unique; made in our studio. Wood: Lime three. Cover : 70 years old vintage rug 100% wool. Finishing by shellack (applied French policing technique) Size: L : 20''/ 50 cm , W: 11 '' /27 cm height: 8 ''/20 cm. Do not hesitate to contact us If you want something customized, please let us know! We will be glad to help you to create your ideas! 100% handmade Folding Portable Chair Can be used also as mini table or coffee table base. All handmade & vintage material. 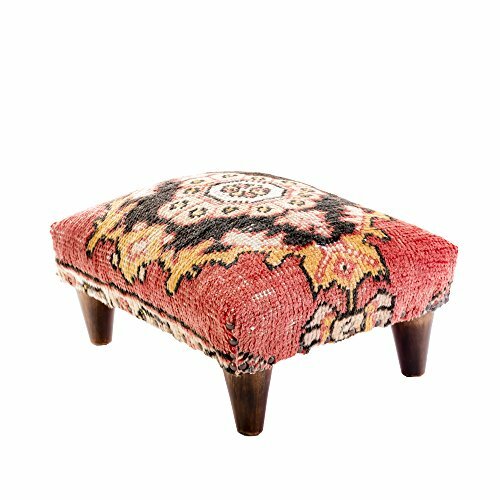 We use vintage kilim rug for cover. 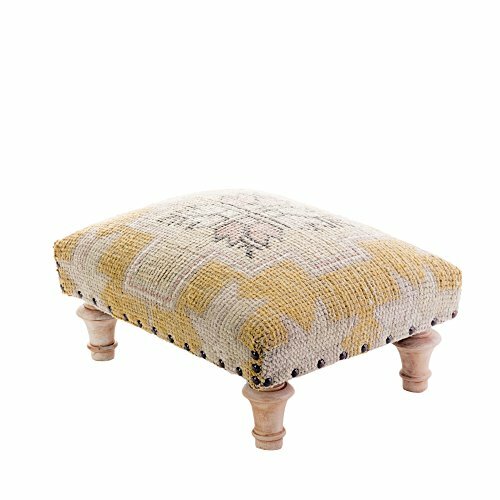 Length 16''/ 40 cm Width: 10.2''/26 cm Height: 15.7''/40 cm Cover: vintage kilim rug ( wool from 1960's) Upholstery: old style made,using nail and hobnail. Standart Shipping: average is 7-10 business days. p.s: Last picture is for illustration purpose only. 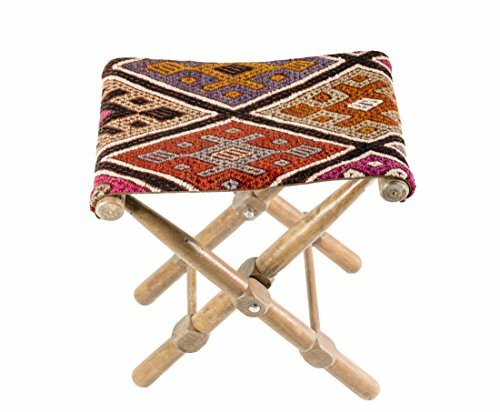 100% handmade Folding Portable Chair Can be used also as mini table or coffee table base. All handmade & vintage material. We use vintage kilim rug for cover. Length,width, height apx. 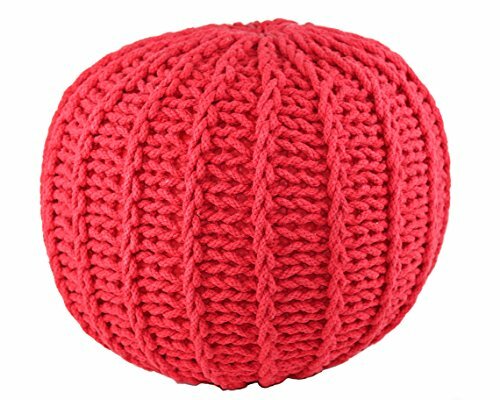 14.5'' ( 37 cm) square shape. 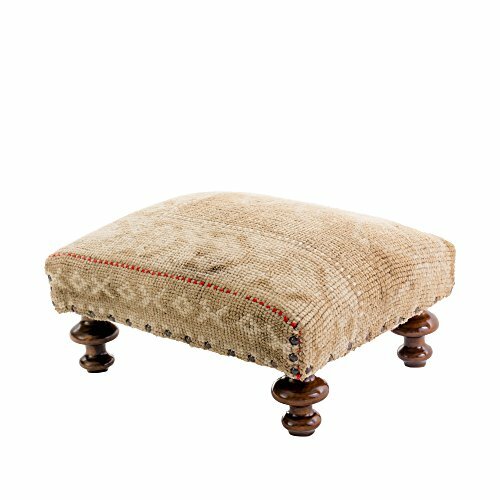 Cover: vintage kilim rug ( wool from 1960's) Wood: horn beam Upholstery: old style made,using nail and hobnail. Standart Shipping: average is 7-10 business days. p.s: Last 3 pictures are for illustration purpose only.